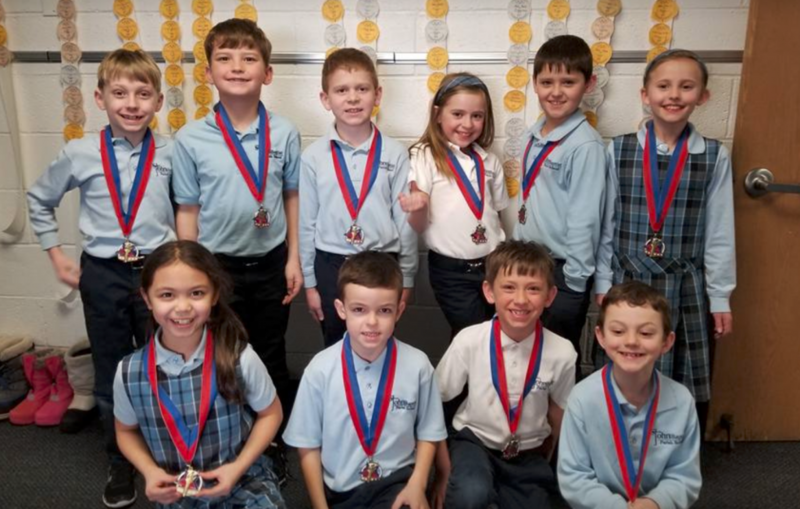 It is the mission of St. John the Baptist Catholic Parish School to educate children in all aspects of their lives to become disciples of Jesus Christ. This is done through formation in Catholic faith, values and instruction utilizing best practices. We help children discover and live up to their full potential, developing self-respect and respect for others. We form a JOY-filled community with gratitude and a sense of Christ-like service. At St. John the Baptist Parish School, the mission of educating students in the Catholic tradition is of prime importance. Our goal is to educate children in all aspects of their lives to proclaim the Good News, to form community, and to translate this teaching into service. St. John the Baptist Parish School community will promote and affirm each child’s God-given gifts. Our community invites all of its members to respect and respond to the rights and needs of others by living the Gospel values of cooperation, service, and peace in their daily lives. Students will develop effective cognitive skills in all areas of the academic curricula. Students will be able to think critically and analytically and communicate in a concise and intelligent manner. Parent involvement is essential and incorporated within various school programs and opportunities. Parents are the prime educators of their children; therefore the parent-child-school relationship is critical to school life. St. John the Baptist Parish School will work to accomplish the important task entrusted to us of educating our students to be successful citizens and to grow in their Catholic faith. Recognizing individual differences, we provide a quality education through differentiation and best practices.